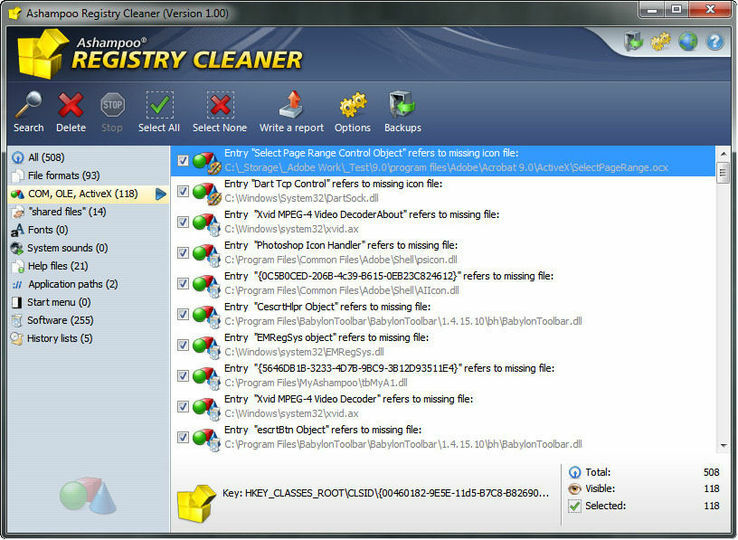 Ashampoo Registry Cleaner is a tool that can scan the Windows registry and remove clutter. With the Ashampoo Registry Cleaner you will easily and safely delete redundant or damaged registry entries. Faulty links in the registry are also repaired. The real-time backup in the Ashampoo Registry Cleaner offers a maximum of safety and enables the restoring of the windows registry into its original status anytime. NOTE: This is a trial version of Ashampoo Registry Cleaner.